It’s an album that sounds intimate even as it’s bursting with musical ideas that outstrip the usual singer-songwriter focus. Mitski is now five albums into her career, but many fans, drawn in by her grungy ballad “Your Best American Girl” from 2016’s Puberty II, might be just hopping aboard the bandwagon. The timing couldn’t be better, therefore, for her new effort Be The Cowboy, because it seems destined to solidify that audience. It’s an album that sounds intimate and confessional even as it’s bursting with musical ideas that outstrip the usual singer-songwriter focus on acoustic guitar or piano and vocal. When listening, you might not ever notice that all but one of the songs on the album fall short of three minutes long. That’s because many of them shift shapes time and again during their brief spans. Opening track “Geyser” starts out with nothing much more than ethereal vocals until suddenly immersing the listener in a cacophonous chorus. “Blue Light” goes the other direction, beginning with a stomping beat before practically evaporating into atmospherics. Mitski takes a similar approach with her vocal melodies, which often veer away from the predictable destinations, lending them an occasionally disorienting vibe. This is the case even when the music picks up the tempo, as with the synth-pulse disco of “Why Didn’t You Stop Me” or the come-hither rhythms of “Washing Machine Heart.” Even from song to song, Mitski and longtime producer Patrick Hyland refuse to settle into a groove, with gentleness and aggression often challenging each other for space in the setlist. On the vocal side, Mitski has a way of portraying lyrics that read hopeful and romantic on the page as haunting and hopeless when she gives them life. When she sings, “I didn’t know I had a dream/ I didn’t know until I saw you,” on “Come Into The Water,” it sounds far from a blessing. She also has a knack for arranging simple wording in ways that strike with unexpected impact. “I gave too much of my heart tonight,” she sings in the beginning of “Remember My Name,” which isn’t the anticipated sentiment considering the fuzzed-out guitar riff that drives the music, but somehow hits even harder because of its placement there. Ultimately, we find Mitski and an unnamed partner swaying joylessly in the dreamy closer “Two Slow Dancers.” “To think that we could stay the same,” she wistfully moans, and, in the context of the song, her desire for stasis is understandable. 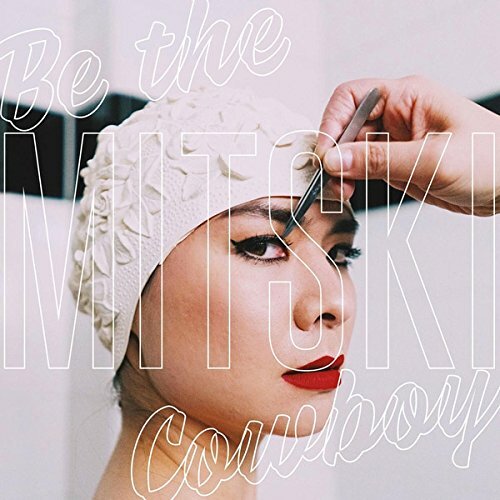 But Be The Cowboy is a standout because of its restlessness, Mitski winding each lonely melody through the peripatetic music and always landing someplace unexpectedly moving.